Today is Memorial Day, and I’m feeling humbly grateful to all of those who paid the ultimate sacrifice for their country. Since I’ve been reading a lot of WWII history lately, I’ve also been playing a lot of WWII-era music here in my sanctuary to all things radio. 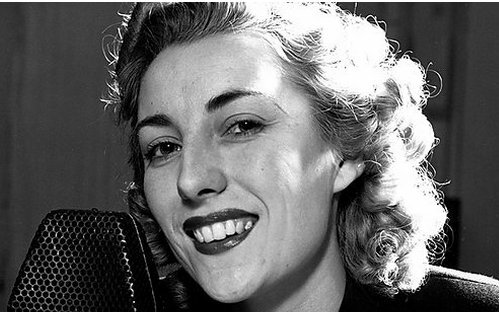 Few songs sum up the yearning sentiment of World War II better than Vera Lynn’s 1942 rendition of “The White Cliffs of Dover.” It’s an iconic song, one that helped British soldiers see beyond the war while mourning its painful toll. It was written in 1941 when England was taking heavy casualties, just before American allies joined the effort. 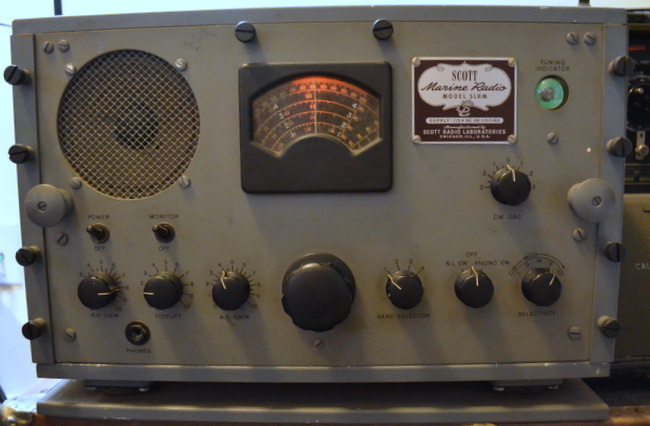 This morning, seeking something with a little authenticity, I played “The White Cliffs of Dover” though my SStran AM transmitter, and listened to it through “Scottie,” my WWII-era Scott Marine radio (above). I made this recording by placing my Zoom H2N recorder directly in front of the Scott’s built-in monitor speaker. So here you go: a little radio tribute to all of those who fell–on both sides–of that infamous second world war. This entry was posted in AM, Articles, Mediumwave, News, Radio History, Radios, Shortwave Radio and tagged Scott Marine Radio SLR-M, sstran, SStran AMT3000 AM Transmitter, Vera Lynn, White Cliff of Dover, WWII on May 25, 2015 by Thomas. Great recording and with such vintage gear, thank you. And my appreciation to all those serving and have served. Dame Vera was indeed quite a vocalist and her voice was also enjoyed by many of the thousands of US troops over there. If you look her up on Youtube you’ll find many fine recordings, this being one of them. We’ll meet again, , I’ll be seeing you and probably one who shows such strength as the British people displayed was Land of Hope and Glory. Tremendous lady. Dame Vera, still alive today at close to 100. Don’t miss her library. Thomas, you are a true romantic, re-incarnated from that heroic, magical era. You are most welcome, Robert!